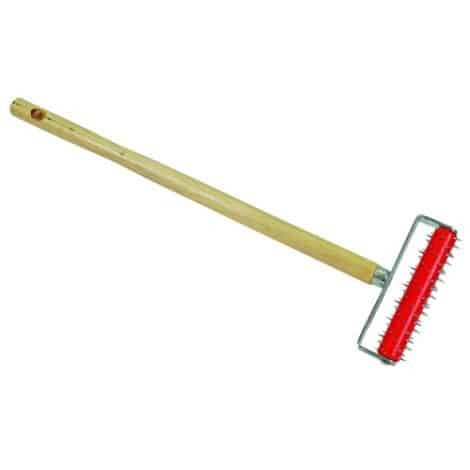 This item is used to put holes in non porous wallpaper to allow moisture to penetrate the paper in preparation to steam it off. This item is rented separately from the steamer itself. SKU: QCA03. Categories: Tools & Equipment, Painting & Drywall Equipment, Power Tools/Hand Tools. Tag: wallpaper perforator. This pan is used to get into tighter spaces when using our wallpaper steamer and is rented separately from the steamer. The easiest way to remove that ugly, old wallpaper and give your home a fresh new look. We also carry narrow pans and perforators which are rented separately. This item requires a standard 110v power supply.